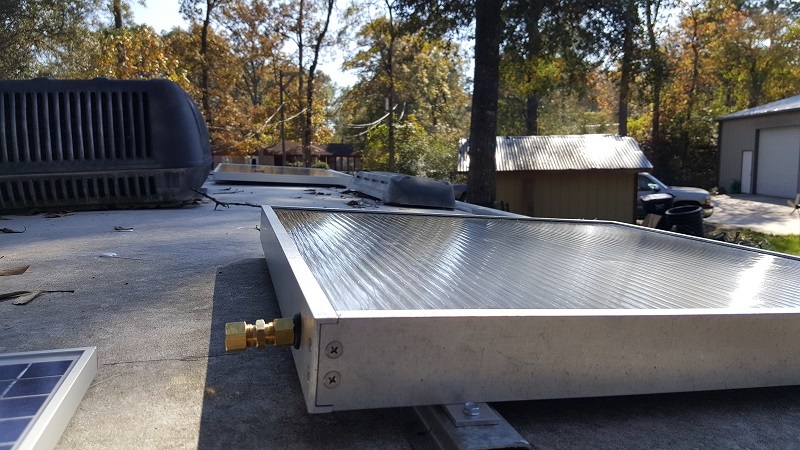 BHA Solar Hot Water Heating Kits are amazingly efficient, highly engineered, and come with all the parts needed to install your system on your RV, cabin or house. 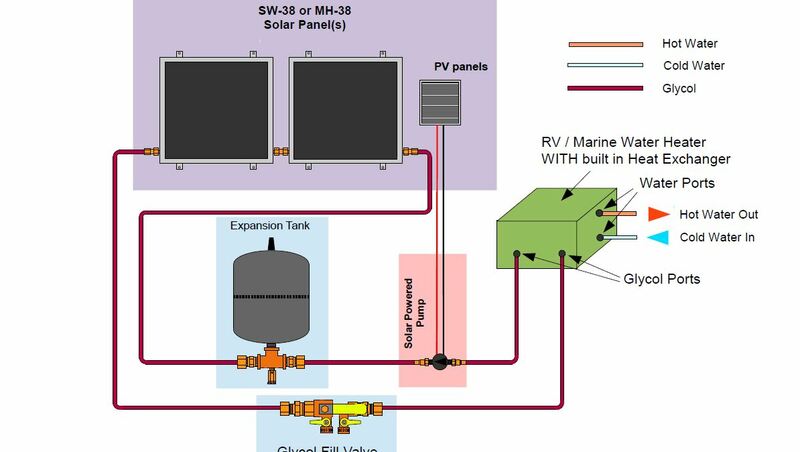 This system connects directly to your existing standard water heater and doesn't interfere with existing gas or electric. 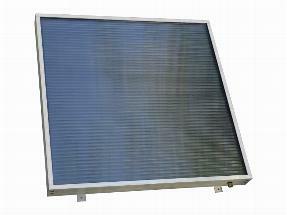 With these quality engineered solar water heater panels you can simply thread the panels together. Each panel weighs slightly over 14 lbs. and is 24" by 24" but can still provide you with ample hot water. You can begin your system with a few panels and add more if you need more. 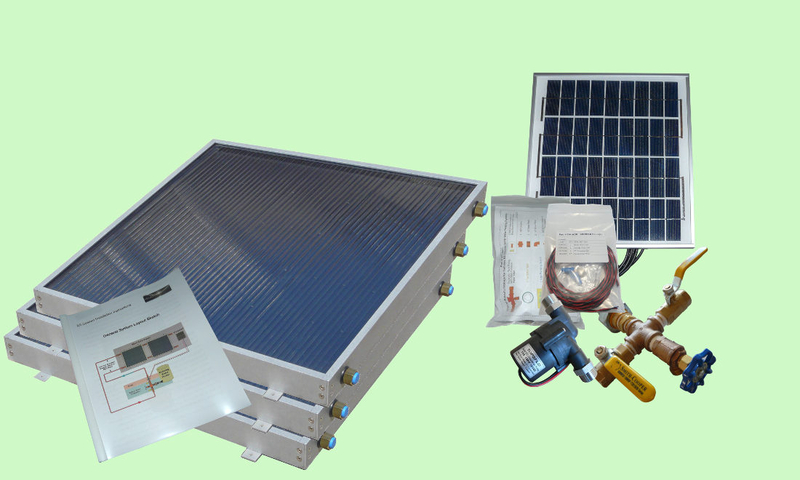 Our kits start at under $350 for everything you need. 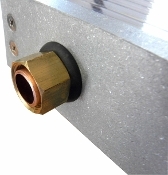 Or you can buy parts separately as needed and put together your own system for even less. For every 6 gallons in your present water heater you will need 1 panel. If you live in a place like Arizona or Florida you can reduce the number of panels a little. If you aren't sure give us a call or an email, we're here to help! Anywhere there is sun throughout the day. 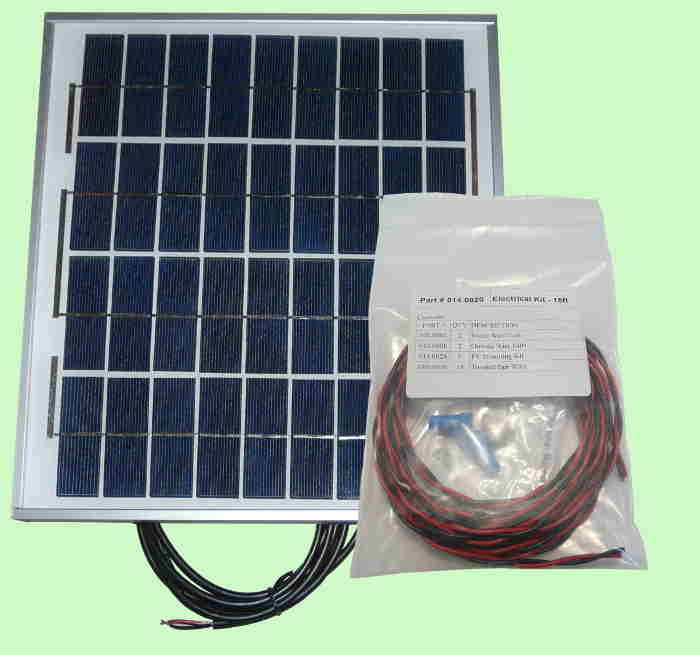 They look great on your roof or next to the house/RV/cabin. The front of the panel is twinwall polycarbonate glazing , the same material used for airplane windows, robust and lightweight. 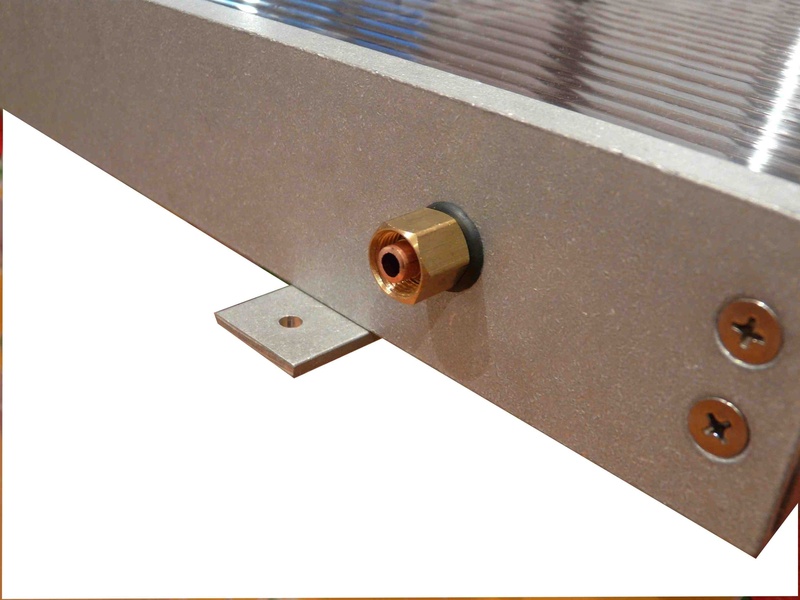 The sides are thick aluminum and the backing is aluminum sheeting. 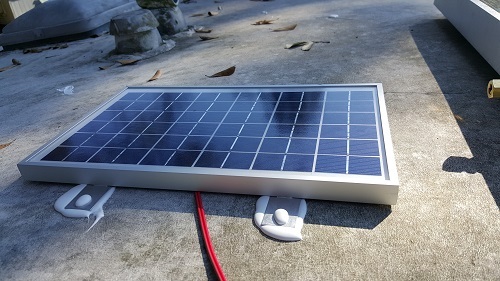 Out unique design inside (patent pending), provides ample heat but is so lightweight anyone can carry these to a roof or install them on a boat or RV!! 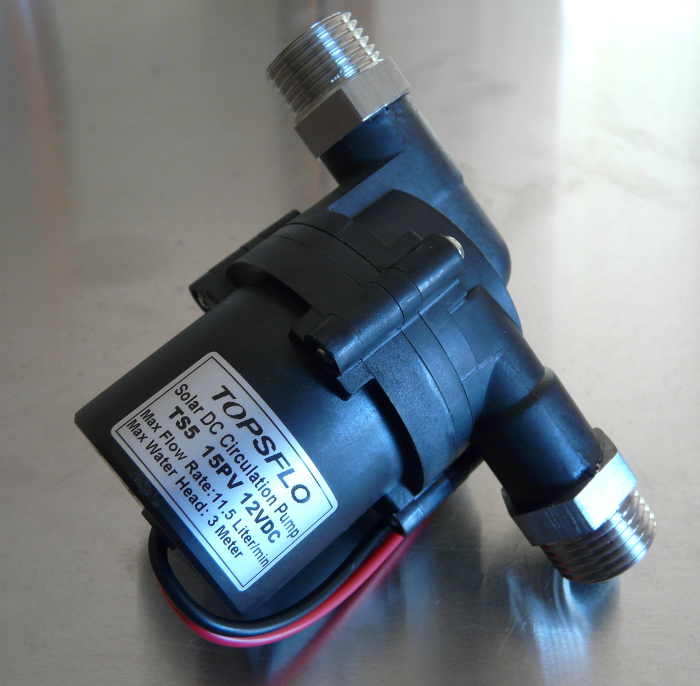 If you have low water pressure you know you can't have a tankless water heater. 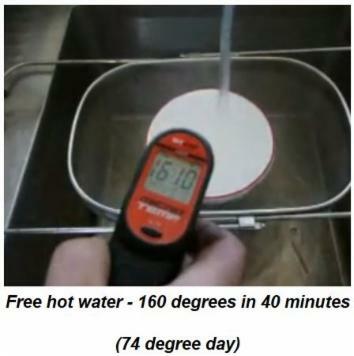 Our system works with any water pressure! 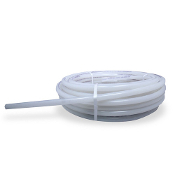 How do I connect to my Existing Water Heater? 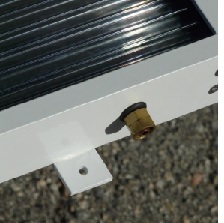 We manufacture a simple fitting called the "Bottom Feed Connector" which connects the Solar Water Heater System to your existing water heater. It only takes minutes. No soldering or other difficult operations! Heating water is a huge portion of your electric and/or gas bill (often it can be as high as 40% of your bill). 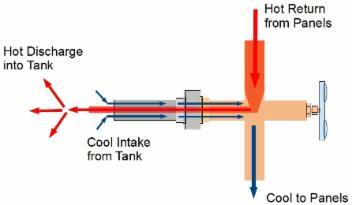 Heating water with the sun is a time-tested and efficient way to heat water. It eliminates waste and saves you money. 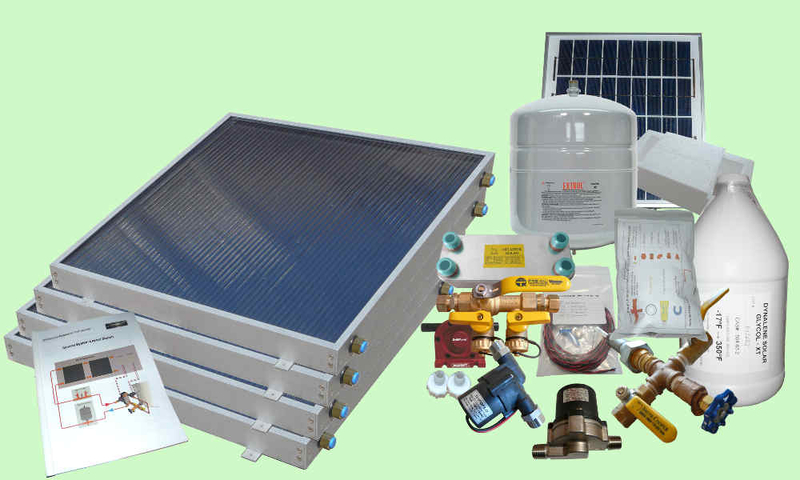 The Solar Water Heating System is affordable and easy to install. 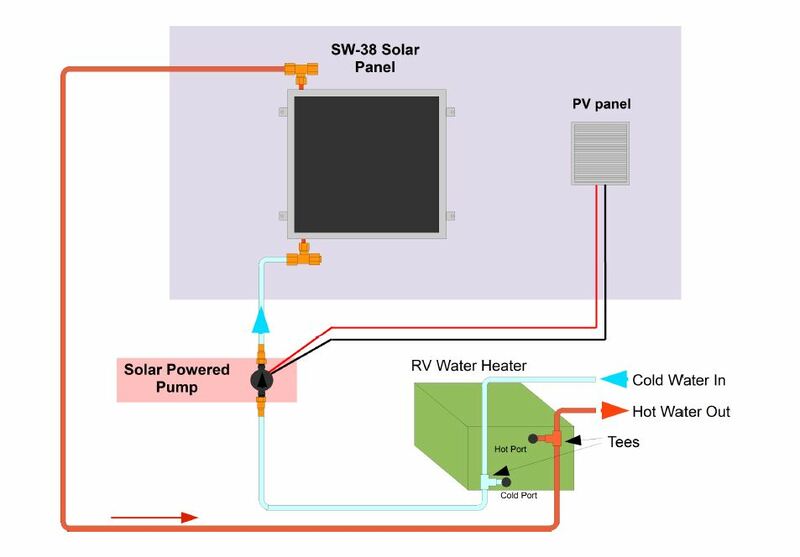 Solar Hot Water Kits install easily using standard compression fittings and 1/2" tubing.